This book provides an introduction to the concepts and techniques of statistical physics for students of biology, biochemistry and biophysics. It provides a sound basis for understanding random motions of molecules, subcellular particles or cells, or of processes that depend on such motion or are markedly affected by it. Readers do not need to understand thermodynamics in order to acquire a knowledge of the physics involved in diffusion, sedimentation, electrophoresis, chromatography and cell motility - subjects that become more understandable and immediate when the author discusses them in terms of random walks of individual particles. Buy Random Walks in Biology by Howard C. Berg from Australia's Online Independent Bookstore, Boomerang Books. 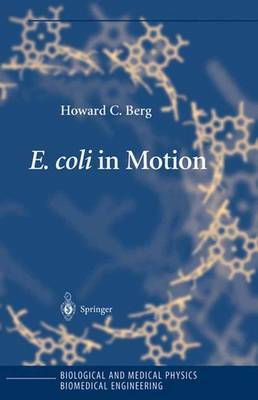 Howard C. Berg is Professor of Biology at Harvard University and a Member of the Rowland Institute for Science.